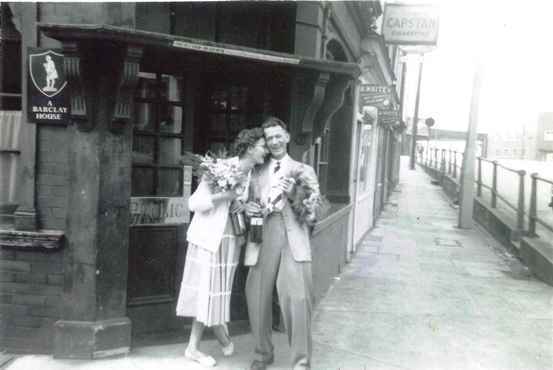 Andy Webb has provided this charming photo showing his parents 'Ted & Floss Webb celebrating outside the Magnet circa 1950'. Ted Webb ran Webb's cafe at 153 High Street, next door to the Magnet which was at no. 152. The Magnet was 'A Barclay House' with well-polished brass work visible. The advertising signs outside Webb's cafe are for Capstan Cigarettes and R White's soft drinks.